Author, TV presenter and singer Alesha Dixon is this year’s incredible judge who will surprise the winner at their school! 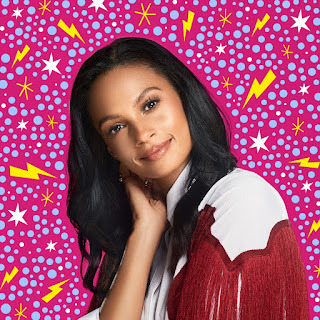 Children’s author, TV presenter and singer Alesha Dixon, has been named this year’s judge of the Explore Learning Writers’ Awards. The competition, now in its 11th year encourages children from across the UK to get their imaginations going and write a 500-word story in the hope that they will be selected by Alesha and the team at Explore Learning as their writer of the year! The winner will receive a trip to Disneyland Paris for their whole family as well as £500 worth of books for their school libraries AND a meet and greet with global superstar, Alesha Dixon, who will surprise them at their school! The multi-talented Alesha Dixon first found fame as part of Brit-nominated and MOBO Award-winning group Mis-teeq, which achieved two platinum albums and seven Top Ten hits, before going on to become a platinum-selling solo artist in her own right. Alesha’s appearance on Strictly Come Dancing in 2007 led to her winning the series and becoming a judge for three seasons. Since then she has presented and hosted many TV shows including CBBC dance show Alesha’s Street Dance Stars, Children In Need, Sport Relief, Your Face Sounds Familiar, and ITV’s Dance, Dance, Dance. She is a hugely popular judge on Britain’s Got Talent and has just been announced as the presenter of new BBC show, The Greatest Dancer. Last year over 38,000 children entered the competition and previous prolific judges include David Walliams, Steve Backshall, Cressida Cowell, Lauren Child and Liz Pichon! Last year’s winner was eight years old, Mia Falatoori from London who impressed David Walliams with her story ‘The Mum with the Toxic Bum’ which you can read here. Explore Learning are an award-winning English and maths tuition company with 143 centres located all over the country. Over 35,000 children aged four to 14 attend their centres each week. Explore Learning’s aim is to help every child reach their full potential and get the best results they can, but more importantly develop a generation of fearless learners. All courses are aligned to the National Curriculum and Curriculum for Excellence and Explore Learning tutors select appropriate resources for each child to ensure they cover a combination of courses, enabling them to reach their potential in all areas. All Explore centres are located in areas that are convenient for families to attend – these include centres within shopping centres such as Westfield London, Lakeside, Cabot Circus and Sainsbury’s supermarkets. Explore Learning was named the best Private Tuition Centre Operator in the Education Investor Awards 2014, 2015 and 2016, a One to Watch in The Sunday Times Virgin Fast Track 100, a finalist in the European Business Awards and were recently named the 20th Best Place to Work For by GlassDoor. For the last 6 years Explore Learning has been named as one of the Sunday Times Best Companies to work for in the UK. Alesha Dixon first found fame as part of Brit-nominated and MOBO Award-winning group Mis-teeq, which achieved two platinum albums and seven Top Ten hits, before going on to become a platinum selling solo artist in her own right. Alesha’s appearance on Strictly Come Dancing in 2007 led to her winning the series and becoming a judge for three seasons. Since then she has presented and hosted many TV shows including: CBBC dance show Alesha’s Street Dance Stars, Children In Need, Sport Relief, Your Face Sounds Familiar, and ITV’s Dance, Dance, Dance. She is a hugely popular judge on Britain’s Got Talent and has just been announced as the presenter of new BBC show, The Greatest Dancer. She has written two very popular children’s books – Lightning Girl (launched in April 2018) and Lightning Girl 2: Superhero Squad (September 2018) about an 11 year old girl who discovers her superhero powers! Her third book is set to launch in March 2019.